The Tempo is cut for performance but won’t cling like the wrapper on your flapjacks. Available in pattern, chest stripe and plain colours. Available in limited edition pattern, chest stripe and plain, the lightweight, moisture wicking Tempo will keep you cool on hot days and give you room to breathe. 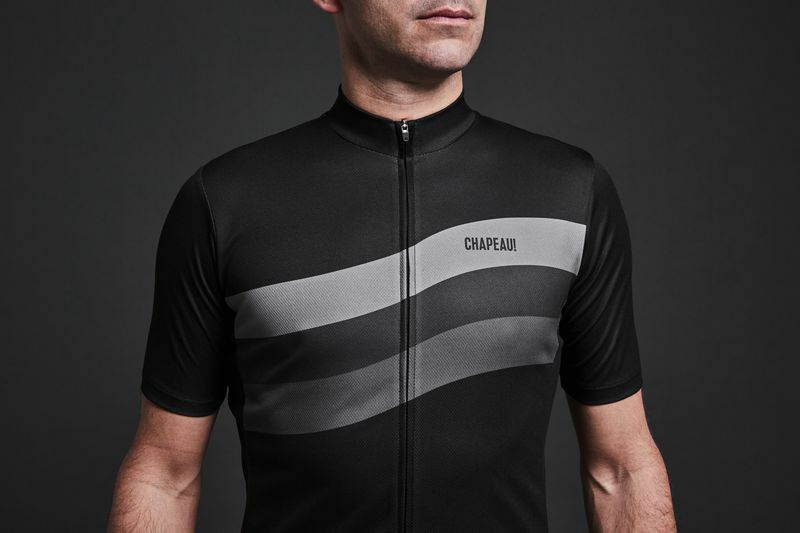 The Tempo jersey has three full-sized pockets, ideal for essential tools and food with enough room to store your arm warmers and gilet as rides hot up. 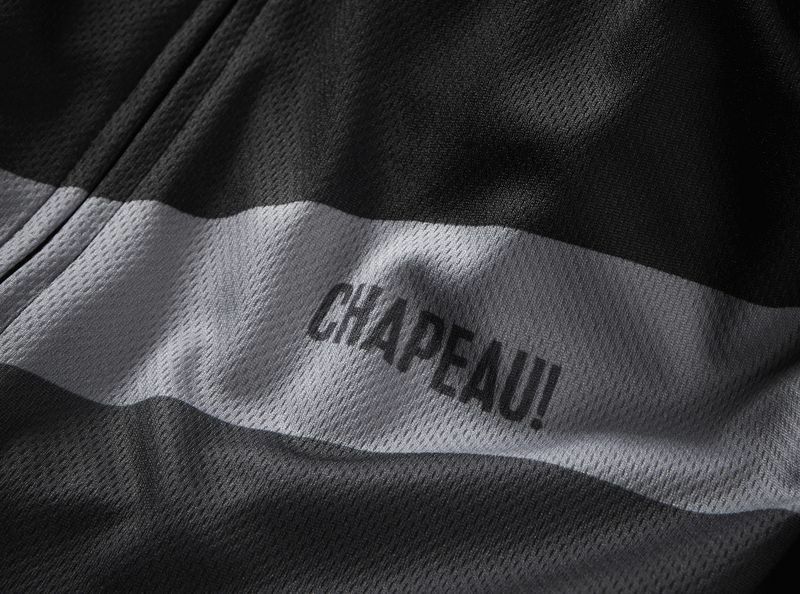 With essential reflective trim and Chapeau! badge you’ll be seen even as the sun sets on another adventure. This is Bill, he is wearing a Small Men's Tempo Wave Stripe Jersey (he likes a fitted jersey), Medium Pave Bibshorts and our tall club socks.